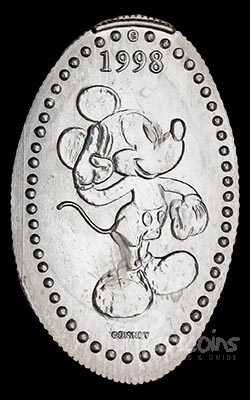 On November 18, 1998, Mickey Mouse turned 70 years old. 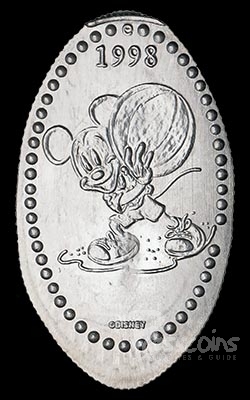 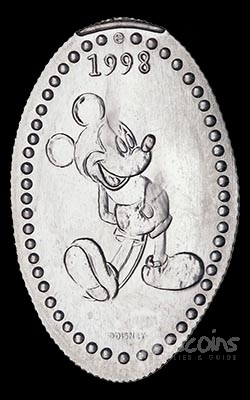 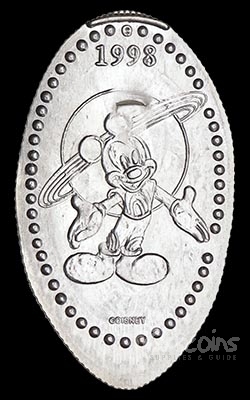 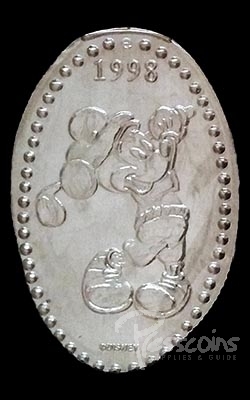 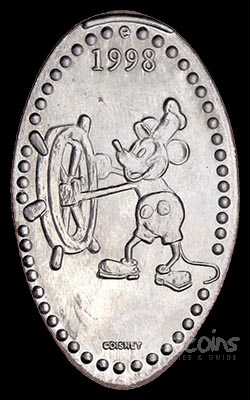 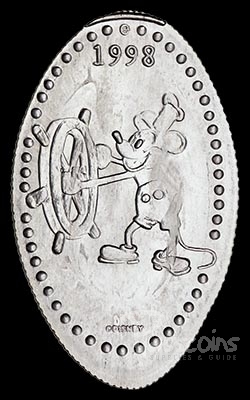 To celebrate Mickey’s 70th birthday, the second commemorative pressed quarter series started replacing the 25th Anniversary quarters at the end of January 1998. 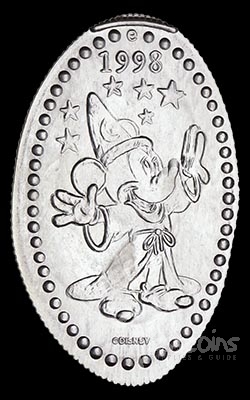 This series consisted of 17 quarters that could be found in single die machines located at Pleasure Island and the other Walt Disney World resorts. 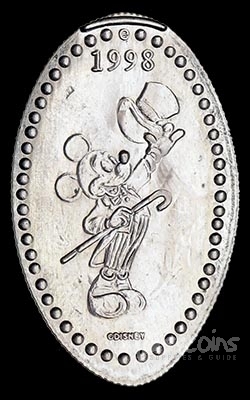 There were 17 coins for the Mickey's 70th Birthday Celebration. 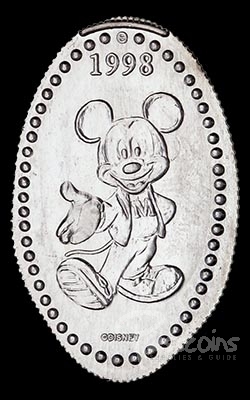 Mickey with letter sweater "M"